The Young and the Restless (Y&R) spoilers reveal that International Women’s Day was bittersweet for one CBS soap star. On Thursday, Daniel Goddard took a moment to reflect on a tough loss. His grandmother passed away a few years back, but her memory lives on. Goddard wanted to fill Y&R fans in on what an awesome lady she was. His social media posts offered a glimpse of what she stood for. 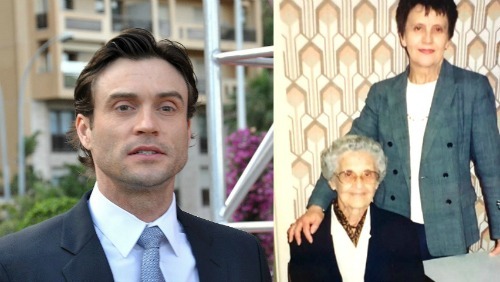 On Instagram, Goddard shared a sweet pic and told a story about his grandmother’s life. She was born in 1913 and “fought the stigma of inequality for years.” Goddard certainly respected his beloved grandma’s strength and can-do spirit. “This incredible woman gave birth to my mother, and was raised with the knowing that with hard work, self belief and a strong moral conviction a woman could do and be anything,” Goddard said. He also gave a shout-out to his “mum” for continuing the battle for women’s rights. Of course, Goddard’s grandma was one of the amazing ladies who lit the fire. He revealed that she passed away at the age of 97, so losing her must’ve been a difficult blow for the family. However, Goddard will always look back on his grandmother’s sacrifices and struggles. She fought for the good of those who came after her and that’s worth celebrating. Goddard wrapped up his Instagram post with a message for females everywhere. “To all the strong independent, loving women that to this very day fight for change… know that you are loved, cherished and respected,” Goddard said. Many Young and the Restless viewers appreciated Goddard’s tribute. It was nice of him to honor his loved ones on this special day. As for what’s ahead on the CBS soap, The Young and the Restless spoilers say several female characters will definitely show their strength. Watch for Abby (Melissa Ordway), Ashley (Eileen Davidson) and Lily (Christel Khalil) to all make some bold moves. We’ll give you updates as other news comes in. Stay tuned to Y&R and don’t forget to check CDL often for the latest Young and the Restless spoilers, updates and news.